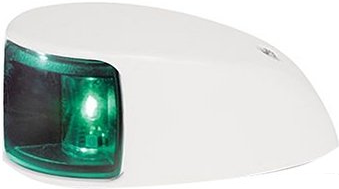 The sleek and powerful Sea Hawk-470 range features multiple lens options: diffuse flood, close range, long range and a unique combination work lamp. 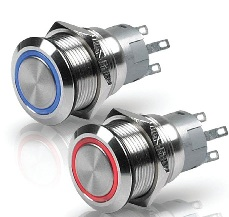 Innovative waterproof switch for reliable operation. 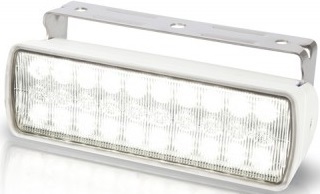 Completely sealed, UV and corrosion resistant and an ultra-low profile these install lamps are easy to install and ideal for interior or exterior applications. 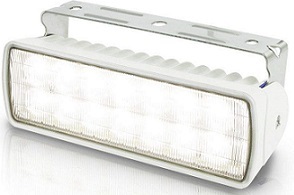 The popular Module 70 LED floodlight has been seriously upgraded. 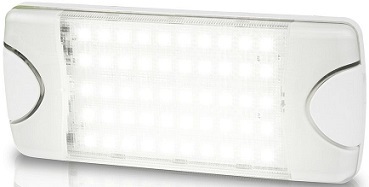 Now producing 2100 lumens light output for only 21W consumption. 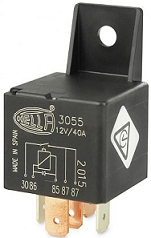 The housing is also finished in a new premium Corosafe coating for even more resistance in extreme operating conditions. 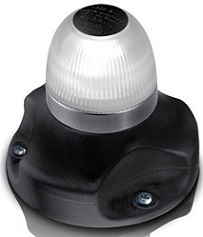 With a new compact mounting footprint Hella marine NaviLED 360 Compact lamps feature single LED efficiency, advanced MultivoltTM electronics and precision optics for reliable and highly visible all round lighting. 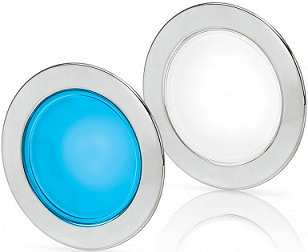 Material Description : UV resistant, enhanced impact acrylic lens. 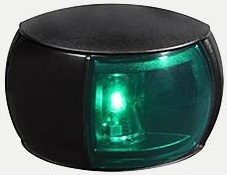 Compact deck mount LED navigation lamps. 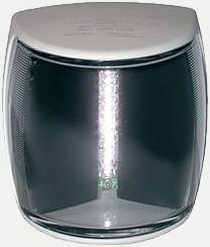 Attractive, power saving and ultra reliable. 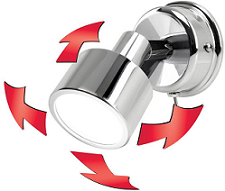 No bulbs, No maintenance. Ultra long service life. 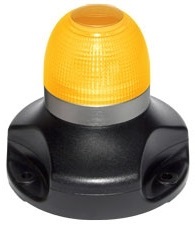 Safe and highly visible. 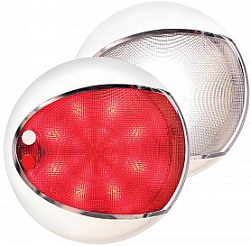 Ultra durable, power saving LED navigation lamps for enhanced safety. 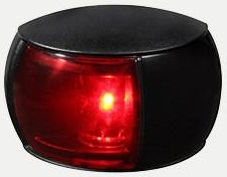 NaviLEDPRO lamps are proven worldwide on commercial, military and recreational vessels. 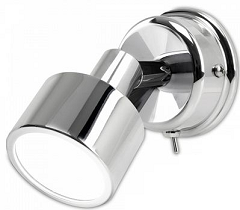 No bulbs, No maintenance, Ultra long service life. 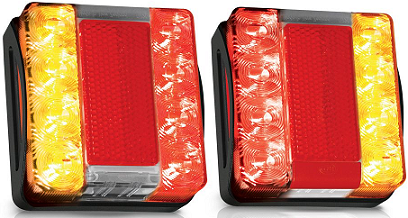 Ultra durable, power saving LED navigation lamps for enhanced safety. 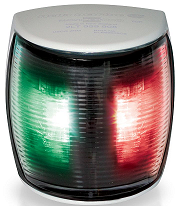 NaviLED PRO lamps are proven worldwide on commercial, military and recreational vessels. No bulbs, No maintenance, Ultra long service life. 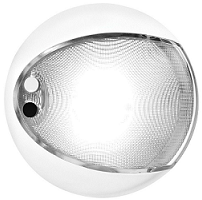 White LED Ponui Gen 2 provides a comfortable colour temperature excellent colour rendering performance, consistent illumination and coordinated ambience throughout a vessel. 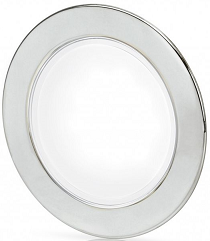 Slim EuroLED 95 down lights combine the latest in style, functionality and performance. 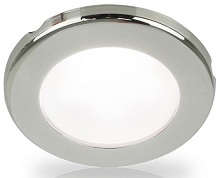 Made of marine grade 316 stainless steel and highly polished to super yacht standards. 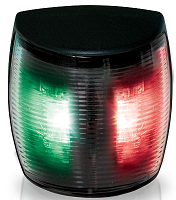 Hella marine lamps are completely sealed so can be used for interior and exterior, wet or dry locations. 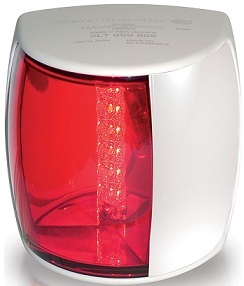 Stylish, reliable and energy efficient, these lamps will provide excellent illumination to enhance interior and exterior spaces. 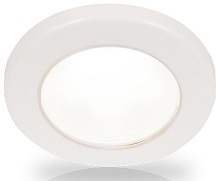 The EuroLED 75 replicates the pleasing appearance of a traditional round lamp but contains all the advantages of a high efficacy, durable solid state light. 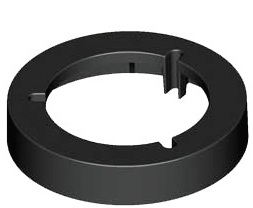 Installation : Recess mount. 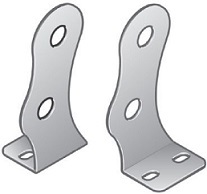 Screw or Spring Clip options. 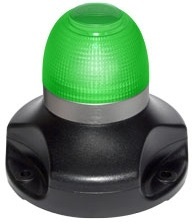 Multi-purpose signal lamps with robust housings, 10 programmable flash modes and the ability to be synchronised to flash alternately or in unison. 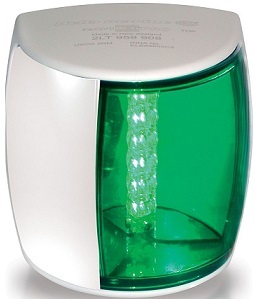 Each lamp is a completely sealed unit. 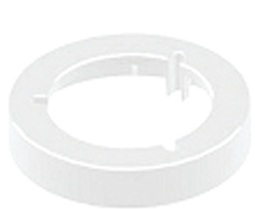 Proven design, precision engineering and the use of high impact acrylic materials ensure superior resistance to water, impact, UV and wear and tear. 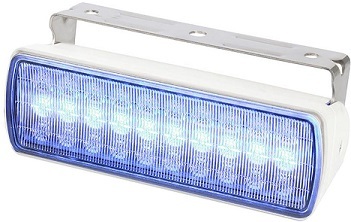 Hella marine NaviLED 360 lamps feature single LED efficiency, advanced Multivolt™ electronics and precision optics for reliable and highly visible all round lighting. 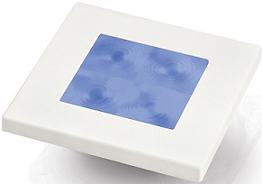 Advanced LED lamps with touch sensitive switching. 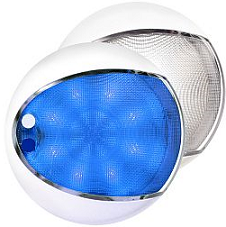 Power saving and ultra durable. 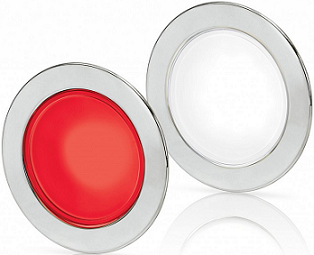 Designed and manufactured in New Zealand, EuroLED Touch lamps provide Red/White, Blue/White, and White light using the latest completely sealed touch sensitive technology. 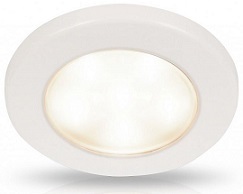 Attractive, energy efficient lighting for interior and exterior use. 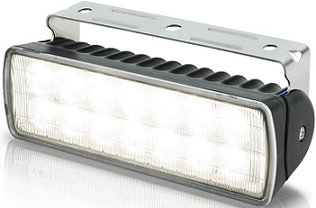 Hella marine LED square courtesy lamps can be installed almost anywhere on board. 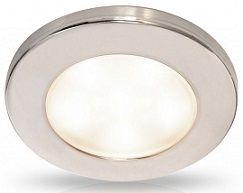 Attractive and timeless LED courtesy lighting for a wide variety of interior and exterior lighting applications. 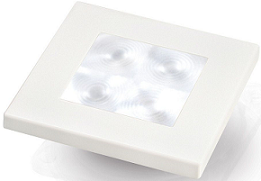 Stylish and easy to install LED courtesy lamps provide safe, reliable and energy efficient lighting for interior or exterior applications. 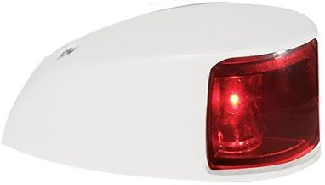 Professional sports fisherman, commercial operators, and ocean racers all recognise the ‘non-glare' night vision preservation. Next level technology offering incredible intensity. Advanced optical systems deliver incredible illumination without glare. 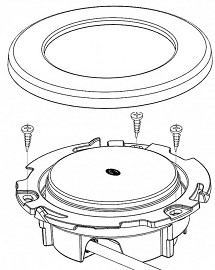 Unique Corrosion Proof Housing and Integrated Dimming. 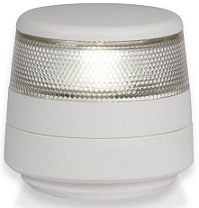 Designed to fit flush into the hard top, bulk head or transom of your vessel these new recessed lamps are ideal for new designs or owners looking for a clean, integrated lighting solution. 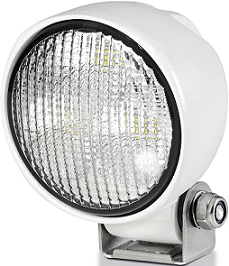 Heavy duty marine lamps. 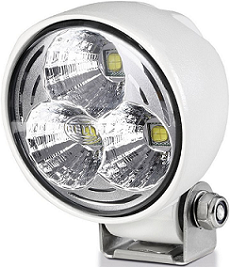 Outstanding light intensity, class leading efficiency and proven durability. 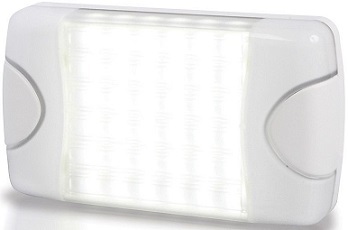 DuraLed lamps provide powerful white light and a safe, energy efficient and reliable alternative to incandescent and fluorescent lighting.